If you own a printer, chances are you’ll experience some sort of trouble with it at some point, if you haven’t already. One of the most common ailments plaguing printers is horizontal lines across the page – lines you didn’t ask to be there. The good news is that there are several steps you can take to try to cure this problem before having to call in a professional or replace the printer entirely. Fortunately, most fixes for horizontal lines fall into this category. It’s always a good idea to start with the simplest, easiest remedies before taking more drastic measures and risking further damage. This is one of the most common reasons unwanted lines appear on printouts. If your printer is running out of ink, simply replace or refill your ink cartridges following the manufacturer’s instructions and recommendations. 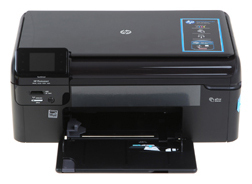 Often new printers come with ink cartridges that are either low on ink or have ink cartridges that have dried out from lack of use while sitting on the shelf. If you’ve just purchased a new printer, double check the cartridges that came with it. Paper type – Make sure the paper type selected matches the paper you are actually using. Printing photos and the use of photo paper is especially affected by incorrect settings. Print quality – Settings usually offer a choice between Draft, Normal and Best. Select the highest quality possible. Color or black and white – Select “Color” printing even if you are printing a document that is only in black and white. 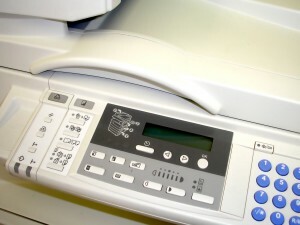 While it may seem counterintuitive, some printers that have separate color and black and white cartridges use ink from both cartridges – even for black and white documents. Choosing the “Color” option will often fix horizontal lines appearing in black and white printouts. 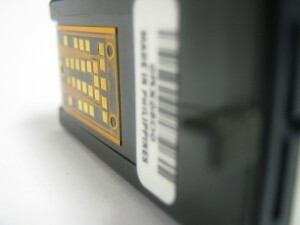 Speed – Turning off high speed printing mode often eliminates unwanted lines. Part of good printer maintenance is periodically running your printer through a cycle of test, clean, and align – even when there aren’t problems. This helps keep the printer operating smoothly. It’s also a good basic step toward resolving problems with your printouts. Most printers have a troubleshooting option. Go ahead and run your computer’s troubleshooting program for your printer. Windows users can reach this through the Control Panel, while Mac users go through System Preferences. If you haven’t thrown out or misplaced your printer’s manual, it can actually be helpful to take a look through it and check for helpful hints. Manuals also usually have their own specific troubleshooting guides – as well as a tech support hotline. Once in a while, an ink cartridge is simply defective. If the printer is working and you’ve tried everything else, you may just need to replace the cartridge. Unfortunately, there are times when the basic fixes just aren’t enough. These fixes take a bit more time and effort, but they can ultimately save you the expense and hassle of either having your printer repaired or purchasing a new one. DO unplug the printer and remove the ink cartridges before cleaning the print head. DON’T use tap water to clean the print head. Most inks are water soluble, so purified water is effective and relatively safe to use for cleaning. However, tap water can contain minerals and other impurities that can damage the print head. DO use distilled water to clean the print head. DON’T use compressed air to blow out print heads or nozzles. These parts are delicate and can be damaged by compressed air. DO consider cleaning the backside of the print head assembly if cleaning the print head alone does not resolve the problem. If after cleaning the print head assembly there are still unwanted lines, the print head may be defective and should be replaced. Sometimes there’s truly nothing to be done except to either take the printer in to be serviced or buy a new one altogether. If it comes to that after trying the above fixes, at least you’ll know you did everything possible first.